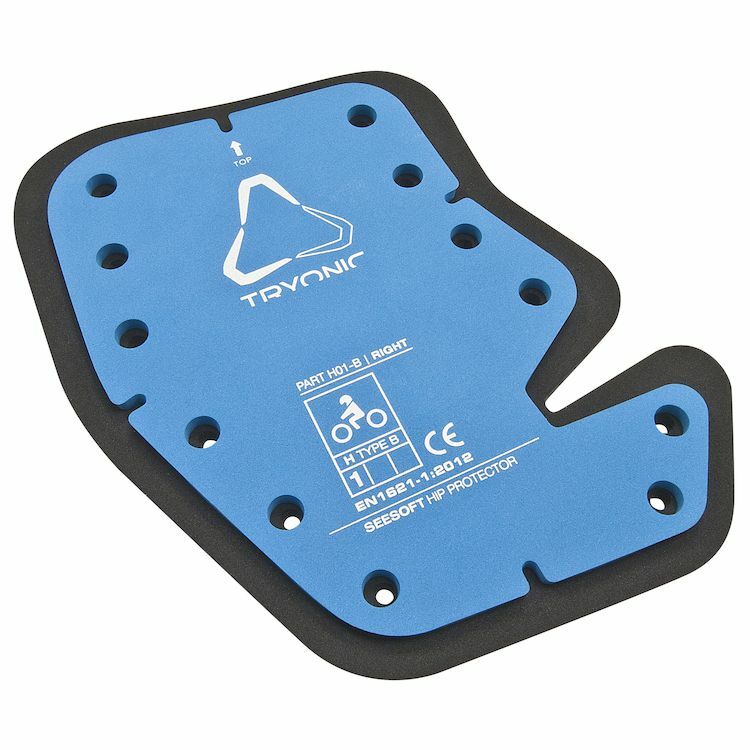 The REVIT Tryonic Seesoft hip protectors are made of a highly impact-resistant blend of synthetic memory foam that is multi-impact rated and CE Certified to the European standard EN1621-1:2012. The protectors are composed of multiple layers. The memory foam will absorb the first impact but the transmitted energy to the joint is further reduced by the shifting layer concept. The different layers employ a unique shifting-layer feature that provides extra protection in the event of a crash. When the protector is under the impact, the individual memory foam layers will shift relative to each other, which disperses the force of the crash over a larger surface area and effectively minimizes the force that is transmitted to the body.